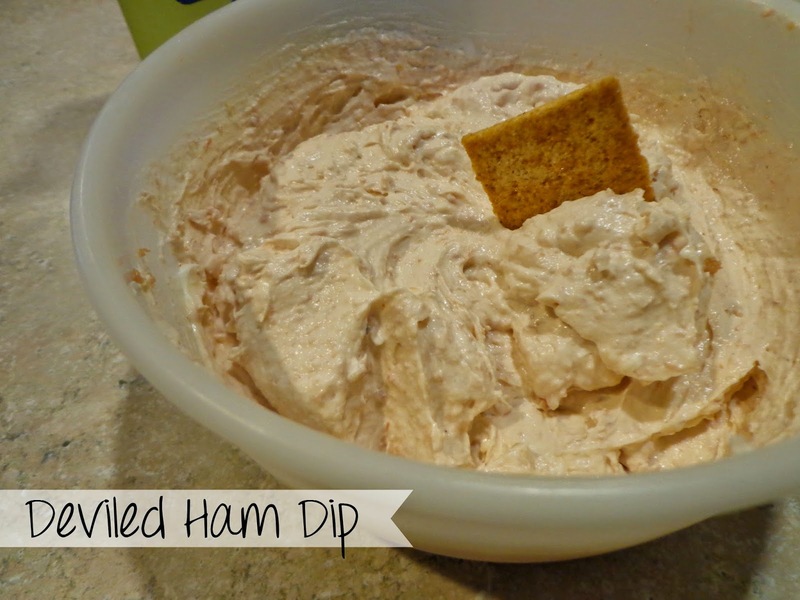 Several years ago I went to a party at a friends house and she was serving this Deviled Ham dip. I thought it looked pretty gross and wasn’t going to touch it. But then I realized everyone else seemed to love it so I decided I would give it a try and I thought it was delicious! After that, it seemed like every time we had a family event, I would always make it. My sister would typically ask me before hand if I was going to bring it, which I wasn’t but now am. Then she would tell me that she tried to make it and it just doesn’t taste the same. So this year for Thanksgiving I whipped it up in the morning before everyone came over for dinner. Yum! After I eat it I remember why I don’t make it often- because I will sit and eat the entire bowl along with a box of Wheat Thins! I always eat this delicious dip with Wheat Thins- they are my favorite!